Widely considered one of the highlight games in Trojan history, and one of the top 20 or so college games of all time. 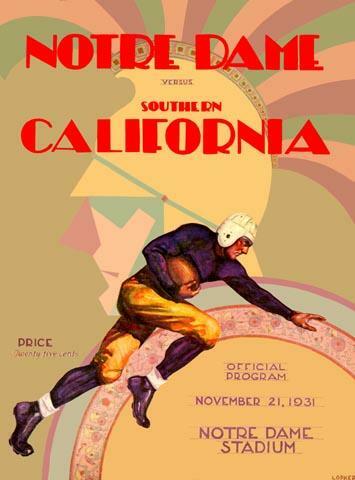 Riding a 26 game unbeaten streak extending back to the beginning of the 1929 season, the Irish carried a 14-0 lead well into the fourth quarter, when the visiting Trojans shocked them with 16 unanswered points. The Troymen then went on to win their last two games against Washington and Georgia by a combined 104 to 7, and capped a great season by beating previously unbeaten Tulane in the Rose Bowl.